If you’re one of the more than 85 million Americans who are living with heart disease, there are several proactive steps you can take to improve your overall health and lower your risk of heart attack, stroke, diabetes, and other heart problems. The best advice is not to try to make all these changes at once, but rather to start with one or two new healthy habits and build on your success. Talk with your doctor about the specific heart health issues you face, whether you’re recovering from a heart attack or stroke, have been diagnosed with coronary artery disease, or are living with high cholesterol, blood pressure, or blood sugar. Many people are dealing with a combination of several of these conditions. In addition to prescribing appropriate medications and other types of treatment, your doctor can recommend lifestyle changes that will help you manage heart disease and improve the health of your heart. If you need additional guidance, ask your doctor to recommend a nutritionist or physical therapist who specializes in working with people living with heart disease. If you’re diagnosed with heart disease, it’s important to reach and maintain a healthy weight. Even if you don’t need to lose weight, the nutritional quality of the food you eat can affect the health of your heart. A primarily plant-based diet: Some studies have found that eating mostly low-fat, plant-based foods, such as vegetables, fruits, whole grains and legumes, and plant proteins like soy, can lower cholesterol and blood sugar levels, two concerns in heart disease. This approach also encourages you to eat whole, minimally processed foods. A Mediterranean diet: Several studies have linked eating a Mediterranean diet with a lower risk of developing heart disease. The diet focuses on fruits, vegetables, legumes like beans and lentils, certain types of fish and seafood, tree nuts like walnuts and almonds, and olive oil. 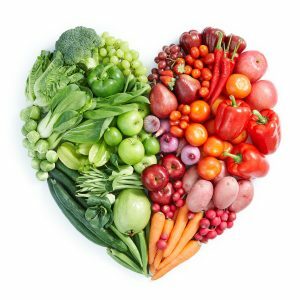 The DASH diet: The goal of the Dietary Approaches to Stop Hypertension (DASH) diet is to lower your blood pressure and, by doing so, decrease your risk of heart disease. This approach to eating encourages you to lower the amount of sodium in your diet and eat whole grains, fruits, vegetables, low-fat dairy, fish, poultry, and legumes. If you’ve had a recent heart attack or stroke or are living with heart failure, atrial fibrillation, or other serious forms of heart disease, it is essential that you talk with your cardiologist about what types and level of exercise are safe and appropriate for you before starting an exercise plan. With your doctor’s clearance, work up to 30 minutes of moderate, aerobic exercise, such as walking, water aerobics, or biking a day. Exercise not only helps you maintain a healthy weight, it can also lower your LDL or “bad” cholesterol and blood sugar and increase your HDL cholesterol, which has a protective effect on the heart. Even if you’re not ready for 30 minutes of exercise a day, studies have found that even 10 minutes a day can have a positive effect on heart health, especially if you’re usually sedentary. A health advisor can help you connect with the resources you need to build a personalized plan to live healthier with heart disease, including top cardiologists, dieticians, exercise and cardiac rehab specialists, and specialists to help you manage stress and sleep issues.